What do you do when you believe you’re doing everything right and then unjust suffering tests your faith? Maybe you do the right thing, maybe you do the wrong thing and maybe you do both. What do you do then? Today Ron Moore begins a series that tells the story of an ancient fellow-sufferer. One who falls into that third category. In the telling you’ll discover how to do the right thing by trusting the right One. An awareness of God’s presence is a source of great strength and stability in difficult times. But when He seems silent, or absent, our pain is magnified. Maybe you’ve been there. Maybe you’re there just now. For times like these Ron has prepared a devotional guide to help restore that feeling of God’s closeness. It’s called “Unshakable Faith in a Shaken World.” Packed with eternal truth from God’s Word, it’ll gently lead you into His presence. 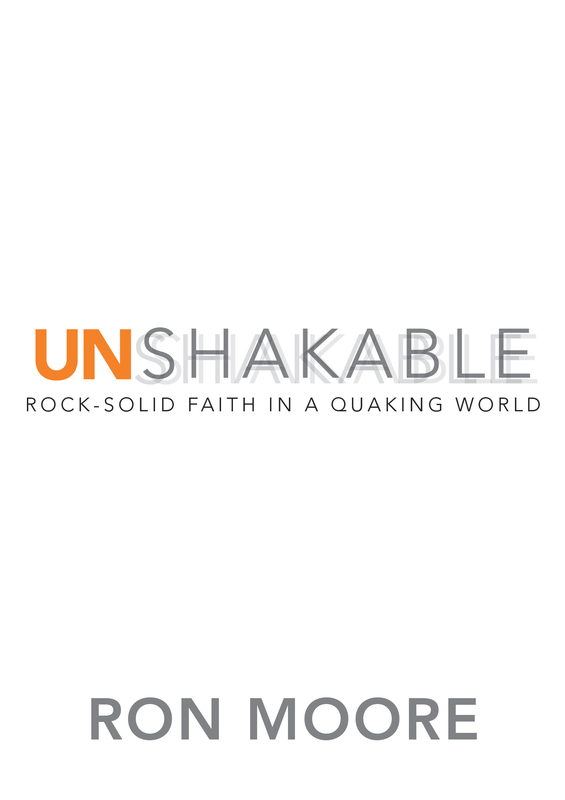 “Unshakable Faith in a Shaken World,” is yours for a donation of any amount.